Certain styles of 3D animation have been around long enough that younger generations of animators and animation fans may not remember a time where they weren’t prevalent. But whether it’s a creative indie game, popular television show, or brief video clip just to bring laughs on social media, artists are still finding creative ways of using the gorgeous, emotion-filled style of 2D animation. The price tag on some great pieces of software, however, can be daunting. The good news is there are plenty of great tools out there that don’t require a dime to use. If this sounds like what you’re after, look no further than our list of the top free 2D animation software tools in 2018. If there’s one open source 2D animation software you’ll find on most other lists, it’s this one. Synfig Studio is one of the best for being easy to pick up while also allowing experienced animators to create high quality animations. It offers several layers of content, has an intuitive interface divided into four different windows, and is compatible with Windows, Mac, and Linux. A notable feature is sound support that lets you sync sounds, music, and narration to your videos. 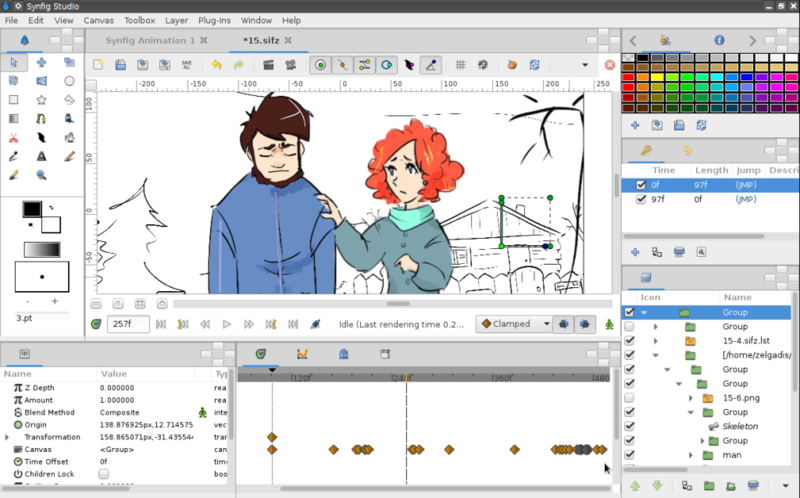 An interesting thing about Synfig Studio is that its developers offer two different versions. The Stable Version is just that — a simple, highly tested set of features you can rely on for your project. The other version, called Development Version, let’s you check out some experimental features that might not still be polished, yet allow you to do some neat things with your animations. This free 2D animation software is recommended for beginners looking to get a better feel for animation and how it works. Pencil2D boasts a simple, clutter-free interface that makes it easy to create basic graphics and drawings as well as complete animations. This program is compatible with three major operating systems (Windows, OS X, and Linux) and lets you use both vector and bitmap graphics. The ability to quickly switch between vector and raster workflows means nothing can slow you down whether you’re using ink, paint, or sketching. And if you’re ever stumped or want to learn more about certain features, you can either check out valuable docs or ask the community forum or social media pages. Opentoonz is the free alternative to Toonz, an advanced 2D animation software used by some of the top film and game creators in their industries. How can you not get excited at the thought of using the same tools as the likes of legendary Japanese animators Studio Ghibli or the creators Futurama and SpongeBob SquarePants? 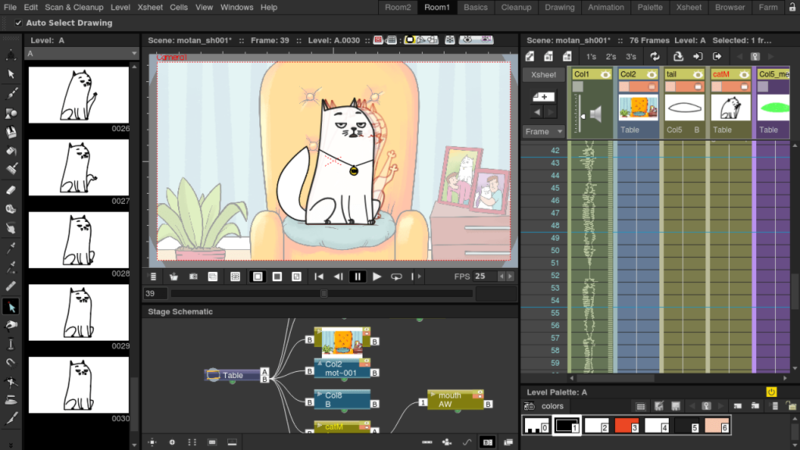 Although you won’t get all the features of Toonz Premium, the free Opentoonz version still provides an impressive number of features and tools. 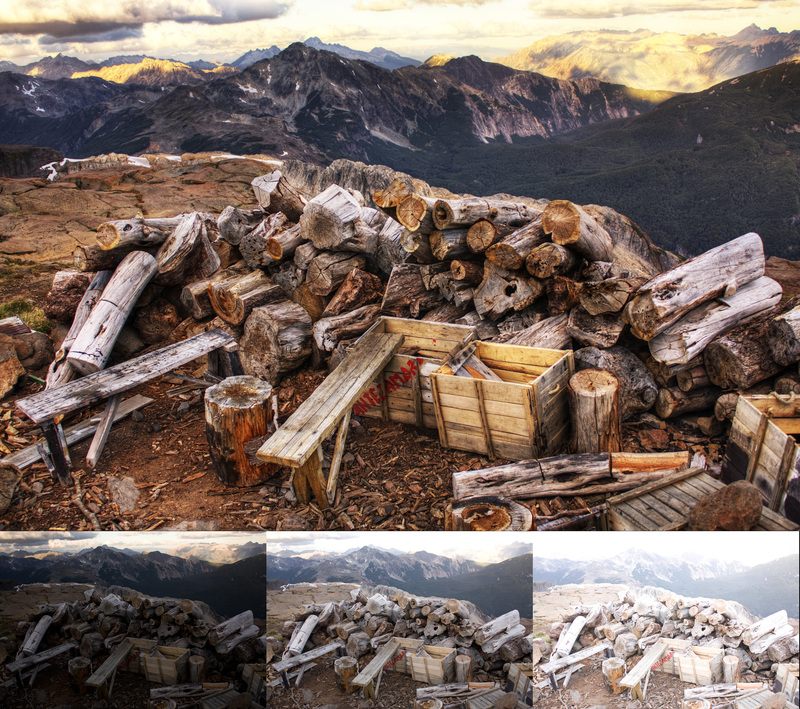 With the help of a plug-in effect SDK, users can seamlessly swap picture styles and also apply powerful effects such as Affected Incident Light and Wavy Distortion. The inclusion of Studio Gibhli’s GTS scanning tools provides four types of scanning: colored, black/white, and with or without binarization. Opentoonz is also frequently improved based on the opinions of production professionals, which helps make it an amazing tool for 2D animation pros and newcomers alike. Don’t let money be the reason why your exciting ideas will never leave your mind or sketchbook. No matter where you are in terms of experience, the top free 2D animation software tools listed above can inspire you to finally turn your visions into visuals, ones you can be proud of and that others can enjoy. While the Oscars are still a few weeks away, the 71st British Academy Film Awards are finally upon us. The ceremony will be hosted by Absolutely Fabulous star Joanna Lumley on February 18, at London’s famed Royal Albert Hall. 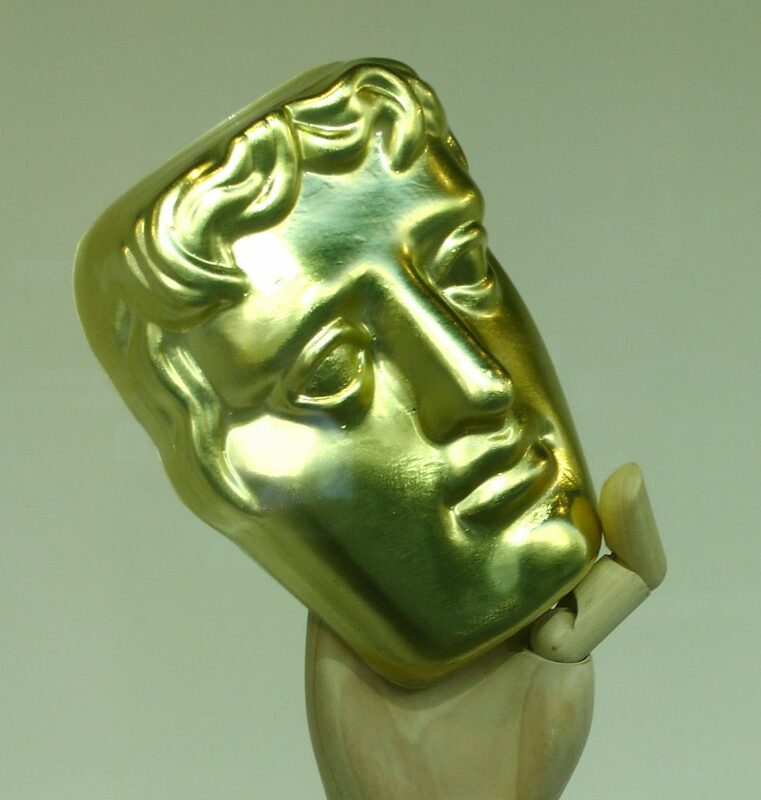 The BAFTAs are one of the major award shows of the season. Because so many actresses, actors, and filmmakers come from the United Kingdom, the nominations and winners often overlap with many of the Golden Globe and Oscar categories. However, because the Academy is made up of different voters, sometimes the results can be wildly different. Here then are the nominees for some of the major categories, along with our best guesses at who will be taking home the BAFTA award bronze mask statue this weekend — though like always, anything can happen. While Margot Robbie is considered the favorite for the Oscar in this category due to her stellar performance in the wildly enjoyable I, Tonya — the story of Tonya Harding and Nancy Kerrigan isn’t as much of a cultural milestone outside of the United States. This may give the edge to Irish actress Saoirse Ronan, star of Lady Bird, a film with near perfect critical acclaim. It’s hard to bet against Daniel Day-Lewis, especially in a thoroughly British role that may also be his last. But Winston Churchill is about as legendary as you can get in Great Britain, and Oldman’s performance as the Prime Minister in his finest moments has already won several awards. While Day-Lewis may not win, his co-star Lesley Manville certainly has a good shot just for being able to go head-to-head with him in several scenes, matching his intensity and emotional subtlety every time. There’s a lot of momentum behind Sam Rockwell this season for his complex performance as a bigoted cop in Three Billboards Outside Ebbing, Missouri. That momentum might be too much for any of the other very talented actors in this category, including co-star Woody Harrelson. Daniel Kaluuya made a huge splash with his haunting starring role in Get Out, but we’ve got to give the edge to Tessa Thompson, the talented American actress who is quickly becoming an A-list movie star thanks to her scene-stealing performance in Thor: Ragnarok. The editing in all of this year’s nominees was impressive, but Dunkirk’s style was a crucial part of the narrative — telling the evacuation of Dunkirk in three distinct timelines cut back-and-forth. The epic World War II film will probably come away with at least one award this weekend, and odds are it’ll be this one. The Shape of Water is essentially a classic romance tale, except one of the romantic leads is a computer generated seven-foot fish creature. By making the character not only believable but emotionally relatable, the special effects team for The Shape of Water more than proved they’re worthy of this year’s award. Blade Runner 2049 is a dark horse in both the Special Effects and Cinematography categories for its fully realized portrayal of a near-future America, but The Shape of Water will probably come ahead in both. The film is a visual marvel in multiple ways, and slides between multiple styles and genres with ease. Paddington 2 is a smash success and both Aaron Sorkin and Armando Iannucci are screenwriting legends, but Call Me By Your Name manages to adapt the 2007 novel of the same name in a way that preserves all its raw emotion that audiences can’t help but be affected by. Gerwig is making history as only the fifth woman nominated for a Best Director Oscar, and her film Lady Bird is easily considered one of the best of the year. It’s had a tougher time at the BAFTAs, so if the overall film gets recognized it’ll have to be here for its remarkable screenplay. All three films are visual works of art, but it’s hard to bet against Pixar and their soulful, supernatural masterpiece about a 12-year-old boy trapped in the land of the dead. Primatologist and anthropologist Jane Goodall is a hero and legend to naturists and to her fellow Britons alike. Jane, the 2017 documentary about Goodall, has already picked up several festival and critics awards and will probably get the BAFTA as well. There might not be anything more loved and more British than Paddington 2, a film with a rare 100% fresh score on Rotten Tomatoes. While all of the other nominees could win as well, especially Irish playwright Martin McDonagh’s Three Billboards or the Winston Churchill drama Darkest Hour, the world really needed an adorable teddy bear in a raincoat —again— and Paddington 2 delivered. The Shape of Water leads the BAFTA nominations with twelve total — and it takes a masterful director to bring all of these nominated elements together into a fantastical tour-de-force. Guillermo del Toro already picked up a Golden Globe for his efforts, and while his competition is stiff, he’ll most likely pick up a BAFTA as well — even if the film falls short in other categories. It cannot be overstated just how important the Second World War is to modern Britain, and both films in this category dealing with the subject —Dunkirk and Darkest Hour — do so in masterful ways. For different reasons, Call Me By Your Name and Three Billboards have connected with and sparked conversation for their audiences. But The Shape of Water has a slight advantage over its competition with its overwhelming amount of nominations this year, as well as its perfectly executed fairy tale with just enough of a twist to make it unique. It doesn’t hurt that avid movie buff Guillermo del Toro also managed to make the film a love letter to cinema. Look for this film to take home the biggest BAFTA of them all. This year’s South by Southwest (SXSW) festival in Austin, Texas, was another success in film showcases. Running March 10-19, the festival hosted filmmakers from all over the globe, all representing a variety of styles and genres, including animated short films. This year there were 11 total accepted animated shorts, but only one could receive the high honor of Best Animated Short. The winner of Best Animated Short was created by the UK’s Nicolas Ménard as a commision for Channel 4’s “Random Acts.” It is about a man named Eugene seeking God. Combining 2D animation with pencil drawings by Manshen Lo as well as a soundtrack by David Kamp, the film takes viewers on a surreal journey to find Eugene’s idea of the divine. The short film by Polish filmmaker Renata Gąsiorowska received Special Jury Recognition at SXSW for its unapologetic and hilarious take on female sexuality and every absurd thing that gets in the way of it. The protagonist of the short tries to spend alone time with herself and is interrupted from her private bath. Created by San Francisco-native Matt Reynolds, “Hot Dog Hands” is a strange but hysterical film about a woman who can’t stop growing fingers. Even when she tries to type her condition into the infamous WebMD, her hot dog hands get in her way. The rest is comedic chaos. Calling all cat ladies! “Catherine” is all about a little girl who loves pets, especially her bright blue cat who brings her comfort and joy. Being bullied at school plus living alone means the cat is Catherine’s only confidant and friend. But Dwight, a boy across the street, is having a hard time getting Catherine to notice something other than her cat … him! The film was created by Britt Raes and produced by Creative Conspiracy. Created by Jennifer Zheng, “Tough” is about a grown British-born daughter and her Chinese mother speaking for the first time as adults. The result is a bridge between cultural understanding and childhood clarity. The film combines both Mandarin Chinese and English language for a fulfilling four-minute multicultural experience. This family-friendly stop-motion film by Canadian animator Evan Derushie, who has previously worked on films such as “The Little Prince” (2015), follows a bird dodging birdlime, a substance used to trap birds for export and illegal trade. Though the grey-blue bird in the film successfully averts the dangerous birdlime, he is still captured within a cage and cannot make sense of the strange creatures around him. What animated films are you most excited to see in 2017? Let us know in the comments below! And learn more about animation at New York Film Academy. You’ve probably wondered, when you look at an interactive menu on a DVD or a website: who makes this? Or maybe you’ve seen the opening for a video series on your favorite source for news. Who is behind these dynamic graphics? Motion designers. Motion designers work to make graphics pop through a unique mix of technical knowhow and artistic inspiration, and they get compensated, on average, 53k a year in the New York City area, according to indeed. If this sounds like something that might interest you, then here’s a small guide and introduction to the field. We’ve linked an outstanding design reel above to give you an idea of what the field can achieve. But how can you achieve it? 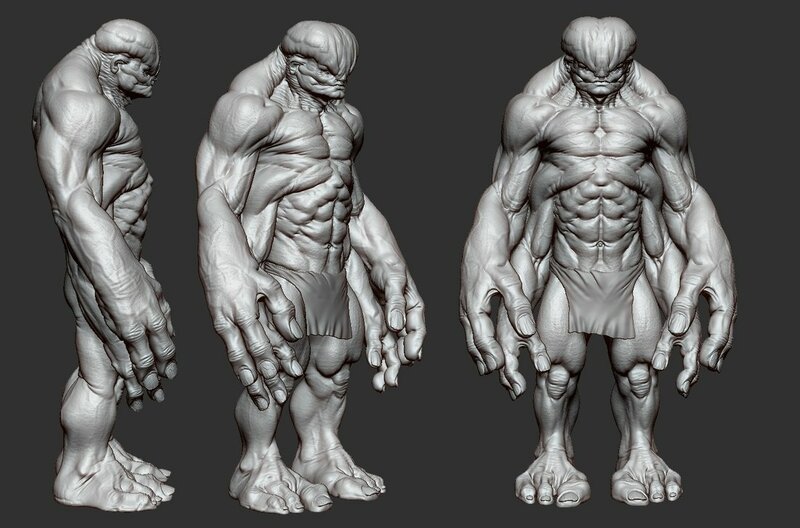 Animation: A good basis in animation and 3D modeling skills will make all of your enhancements top of the line. Graphic Design: Of course, “design” is even included the job title for a motion designer. While you are putting your graphics into motion, you do need the a good graphic design education and experience. You’ll also still be working with typography in many cases. Communication Skills: Looking on indeed.com, you’ll notice that many of the motion design jobs are part of established business like Conde Nast. You’ll need to be able to work on a team to achieve your goals and you’ll need to speak with clients so they know what you can do, what you plan on doing, and how it fits in with their model. And of course, you’ll have to know how to collaborate and make adjustments. 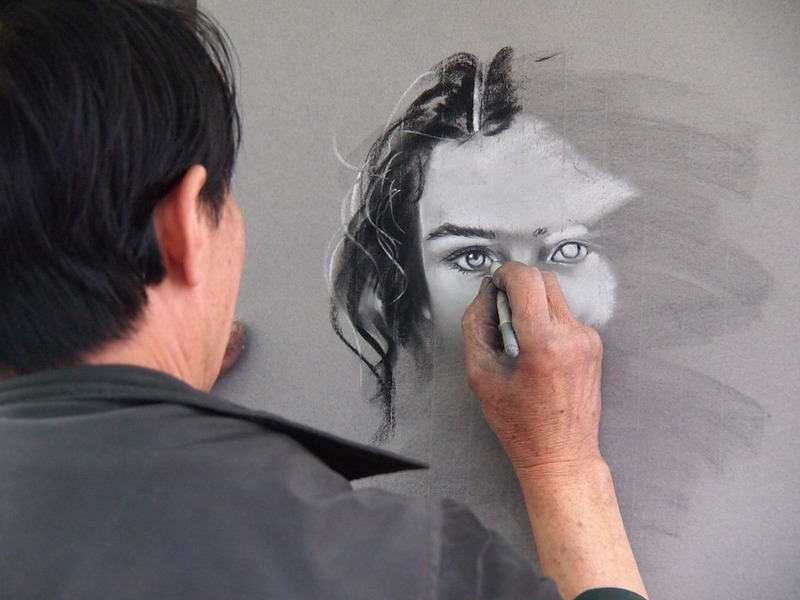 Inspiration: After all, inspiration is what makes any artistic endeavor a success. All the technical facility in the world still needs help from what’s unique about you, about what you bring to the table, and what makes your gears tick. NYFA has a number of options to help you develop the tools you’ll need to enter the rapidly growing field of motion design. Our faculty includes several prestigious graphic designers including Sophia Bilynsky, the founder of AlleyCat Design. NYFA has a four year graphic design degree program. There is also a more intensive one year program. The “Type and Motion” course will give you a basis and introduction into the field. You can also supplement your Motion Design knowledge studying history (“History of Graphic Design”) with Keith Godard, and when you finally get ready to make the big pitch to a client, you’ll be well prepared by the “Portfolio Production and Business Practices” and “Communication Strategies – Branding and Visual Identity.” If you have other questions, the NYFA’s “Graphic Design School” page, linked here, includes contact information, times for open houses, and a link to apply once you’ve decided when you’d like to proceed. Are you interested in motion design or have extra helpful tips? Let us know in the comments below! And check out NYFA’s programs in graphic design and animation. It’s a good time to be an aspiring animator. Access to many useful sites are only a few keystrokes away, giving you a look at what other talented people are working on. While nothing compares to your own ideas and creativity, it doesn’t hurt to get a little inspiration from other people’s work. This is easily one of the best databases for animation on the web, and the best part is that it’s completely free. This reference site is run by Martin L’Heureux, a Canadian artist with more than 20 years and 30 projects under his belt. They include not just movies and television but acclaimed video games as well, such as Nintendo’s Metroid Prime. L’Heureux started the site to share the knowledge he’s picked up over the years in the animation industry. A deep interest in physics and mechanics of human movement mean there are a lot of human animations on the site. If that’s your cup of tea as well, definitely check out his clips. Here you’ll find one of the more impressive collections of pencil animations and concept art from actual projects. Whether your goal is to find inspiration or you want to see how some of your favorite shows and movies started out, look no further. In other words, Kennedy knows his stuff. His blog offers a wealth of knowledge that every animator can benefit from, including breakdowns of scripts, videos, and plenty of great advice. Although the blog is updated rarely nowadays, there’s already plenty of stuff on there to check out. Deja uses his decades of experience and ever-growing passion for animation to help others sharpen their skills. He doesn’t just show sketches or drawings he made, he also talks about his process, inspirations, etc. One of his more recent posts is of him comparing the live action performance of Bill Condon’s Gaston in the new “Beauty and the Beast” to his own animated version from the 1991 film. This website serves as a hub for animators looking to land an interview for a new job. It offers various resources to push your animation career forward, including a jobs board that’s frequently updated with new gigs. Animation Insider also has sections where artists from around the world post their work, informative videos, and more. Just from skimming the site we found a great video detailing why cartoon characters wear gloves. This site was started by Mike Milo, a two time Emmy award winning animator who has worked for just about every major animation studio you can think of. Are you an aspiring animator? Learn more about your craft through one of New York Film Academy’s 3D animation and visual effects programs! 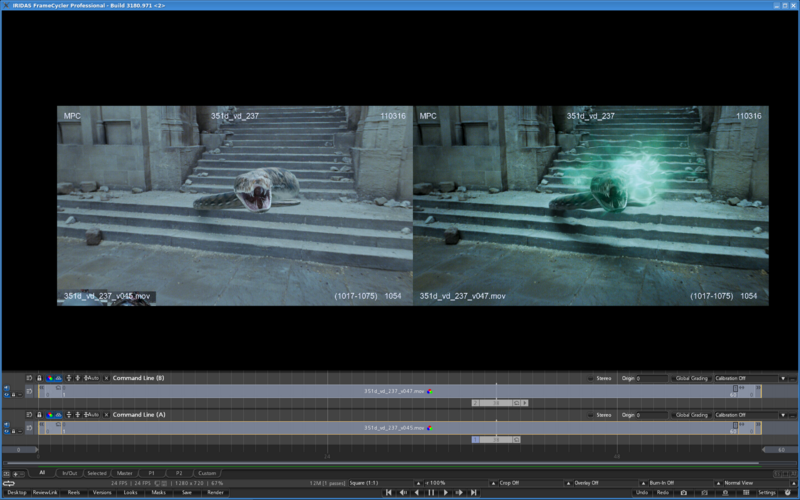 Visual effects and 3D animation have really grown over the last few decades with the help of improved tools for animations. If you are interested in learning the theory of animation and visual effects, and getting the professional skills you’ll need, the New York Film Academy’s 3D & Visual Effects School is for you. The professors of NYFA’s Animation School are working animators and visual effects artists who have designed a hands-on curriculum for students to help prepare them for a competitive industry. 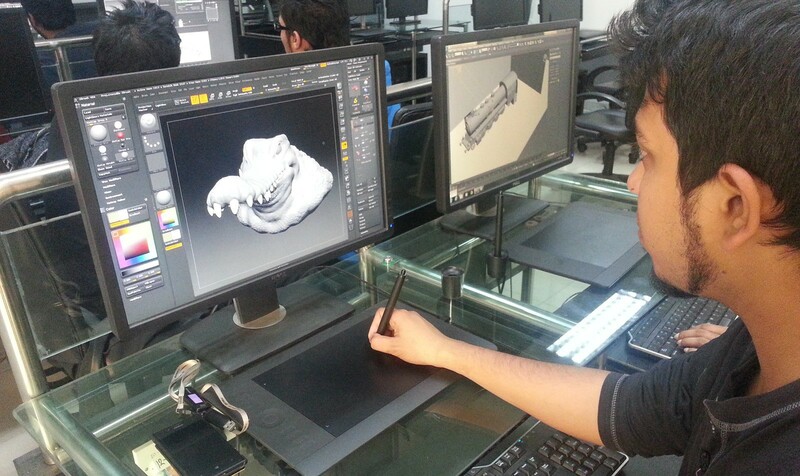 Our students use programs such as Maya, ZBrush, Mudbox, Motion Builder, and Nuke. In the early years, “Rugrats” used cel animation and the show’s animators drew everything by hand. But by the time “Rugrats in Paris” movie hit theaters, the team used a combination of 2D and 3D animation. The animators created more than 300,000 drawings by hand and then scanned the drawings into Toon Boom Technologies US Animation software. For the 3D animation, the team used Maya. Once all the images were created, they used Animo Inkworks renderer to seamlessly combine everything. The list of animated series goes on and on. If you’re into animated series featuring mature content — which you can find on channels like Adult Swim — that’s cool too. There’s nothing like staying up late to get some good chuckles. Many of the animated series for older audiences rely on bawdy humor, adult topics, and mature language — a recipe that many animation fans appreciate as they cross the threshold from childhood to adulthood. If that isn’t enough reason to love McFarlane’s “Family Guy,” actress Mila Kunis voices the outcast daughter Meg, and Carrie Fisher voiced Peter Griffin’s boss, Angela. 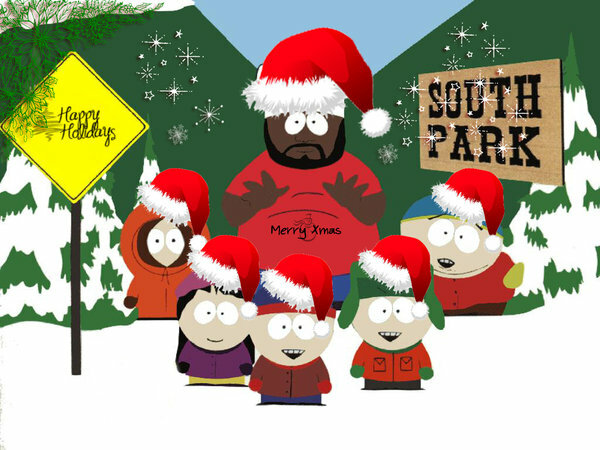 This year marks the 20th anniversary for Comedy Central’s “South Park.” The show focuses on the lives of four elementary students, Kenny, Kyle, Cartman and Stan, in the quiet town of South Park in Colorado. When the show first aired in 1997, creators Matt Stone and Trey Parker used photos and cardboard cutouts for the show. Then they started scanning the cutouts into computers, where they imported the images into PowerAnimator and linked to a 54-processor that could render 10 to 15 shots an hour. Now, Stone and Parker use a 120-process render that produces 30 shots or more an hour. Watching how “South Park” has evolved with new technology and software is truly impressive. What are some of your favorite animated series? Let us know in the comments below! And check out NYFA’s animation programs to learn more about animation. As you pursue your 3D animation and visual effects studies with NYFA’s Animation School, it’s important to understand the history and techniques that shaped the field of animation and led to the development and popularity of today’s advanced technology. Whether it’s the cartoons we re-watched as a kid or the flipbooks we bought, the cute adverts on TV tempting us to buy certain products or even the “Madagascar” and “Ice Age” films we love to watch in 3D, animation is an integral part of how we understand storytelling. As you develop your 3D animation and visual effects skills, understanding the principles of other types of animation can open you to new ideas and inspirations. After all, animation is more than cinema — comics, games, graphic novels and even some toys borrow from this tradition. And your animation work can find inspiration in all kinds of places, as well. Broadly speaking, there are five types of animation. As you develop your animation skills, interests, artistic vision, and software expertise, you can learn to draw from various theories and traditions in animation as you develop your own signature style. This is the original hand-drawn cel animation where the artist literally has to draw thousands of images on special paper and have them photographed, frame by frame. 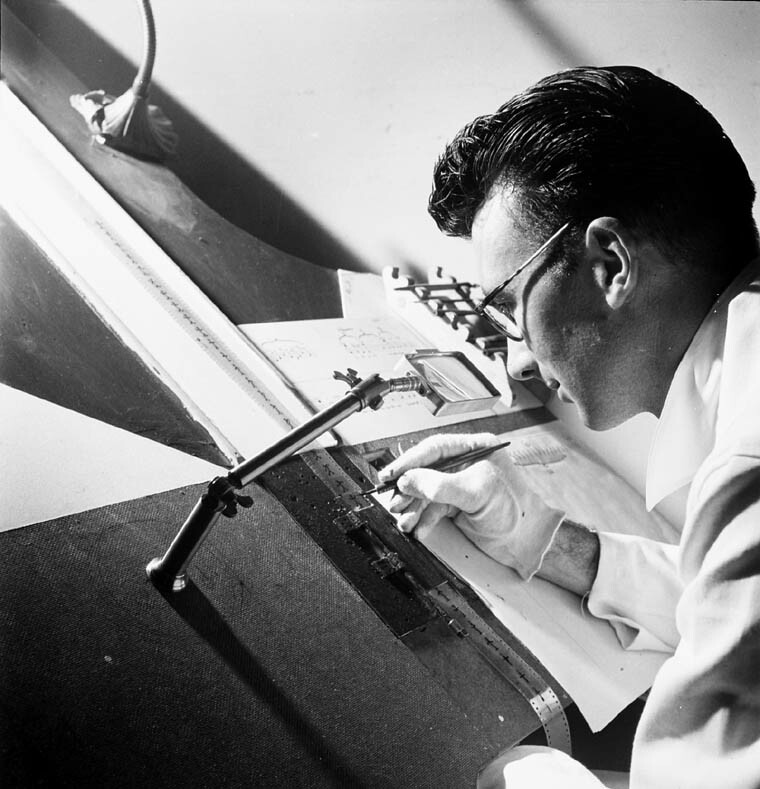 Before the digital revolution, traditional animation was the norm of the industry, including Disney. Traditional animation is a great skill to have in your arsenal, especially if you particularly enjoy traditional media: color pencils, glass painting, water colors. The main drawback to traditional animation is that it’s a very lengthy process. However, don’t let the old-world flavor of this style put you off, as there’s plenty of inspiration to draw upon within this style of animation: take a look at A-ha’s music video “Take on Me” and the breathtaking Aleksandr Petrov film “The Old Man and the Sea,” based on the Hemingway tale. This is vector-based animation, and has two distinct advantages: it is cheap and easy to access. You need a basic understanding of key frames and know how to use Adobe Animate CC. 3D animation and visual effects are, quite simply, the way of the future. 3D animation operates on different principles, and is more akin to puppetry than traditional animation. For this, you need to learn how to digitally model a character, sculpt it perfectly and give it a skeleton that you can move and manipulate. You’ll have to pose the model at certain frames, and then let the computer do the rendering. Why is 3D animation so important to understand? Those who want to break into the industry frankly must master the ins and outs of 3D animation. CGI has become the norm for all blockbuster animated movies and in certain live-action sequences which requires a lot of VFX, because of its attention-to-detail and realism. This is why NYFA focuses on 3D animation and VFX, offering aspiring animators the training they need to develop professional skills. This visual effect technique involves moving graphic elements such as text or logos, mostly using software such as After Effects. Works Best For: Those working in the advertising industry or doing multimedia projects, or even designing the opening of film titles. 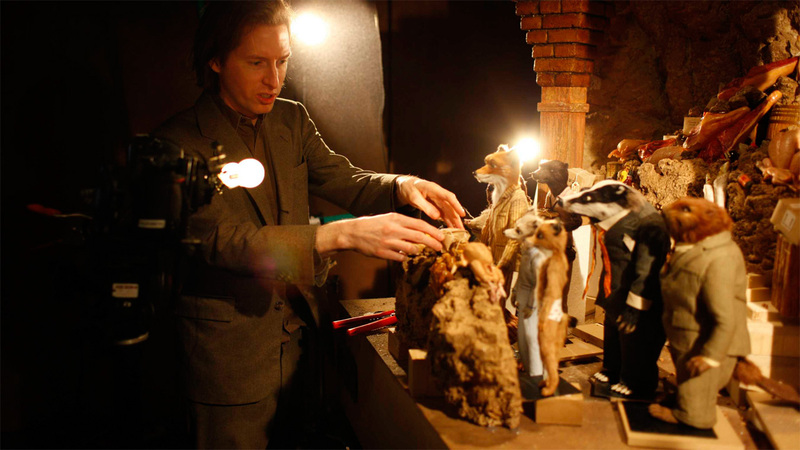 For aspiring animators, stop motion can be a wonderful medium to make art, on your own terms. Stop motion has its own flavor, which can’t quite be reproduced in any other medium, and is extremely labor intensive — much like cel animation. Understanding stop motion can also unlock a deeper appreciation for 3D animation and visual effects. So, as you create your own original animations, think of the film or clip that you’d like to make. Ask yourself, what should this creative product look or feel like, and how can I best achieve that? Think about your artistic skills and the great history and traditions of animation you can draw upon and experiment with inspiration from all animation styles. 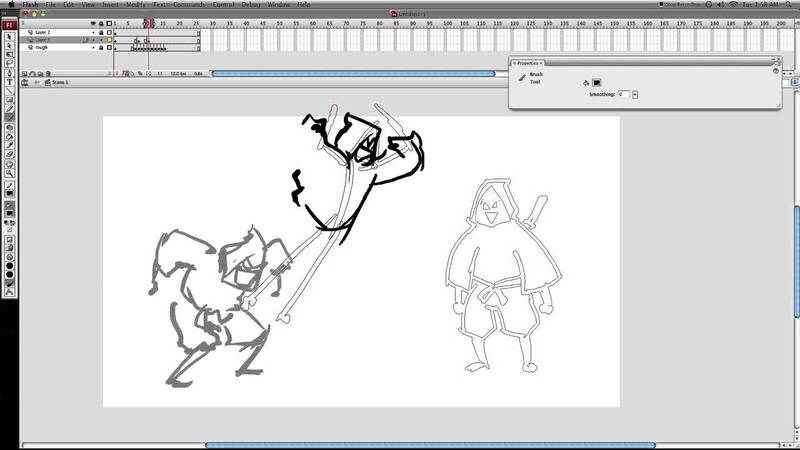 Ready to learn everything you can about animation? Check out NYFA’s Animation School. When you think of groundbreaking special effects, you likely think of summer blockbusters and big budget productions. But, children’s films are often a source of innovative special effects. While early films were intended for general audiences rather than being targeted to specific age groups, some found inspiration in the kid-friendly fiction of Jules Verne and Lewis Carroll. Georges Méliès’ “A Trip to the Moon“ (1902) and “The Impossible Voyage” (1904) and Cecil Hepworth’s “Alice in Wonderland“ (1903) used pioneering special effects and editing such as multiple exposures, time-lapse photography, substitution splices, and creative use of set design and camera placement to bring imaginary worlds to life on screen. One of the earliest examples of animation, Gertie the Dinosaur influenced animators such as the Fleischer Brothers and Walt Disney. In the film, Winsor McCay draws Gertie “live” in a clever sequence that is humorous and graceful. The short film also gives viewers an inside peek at the animation process when McCay references the 10,000 drawings needed to make a few minutes worth of film. The Walt Disney Company’s 1937 film was the first full-length feature film using cel animation. 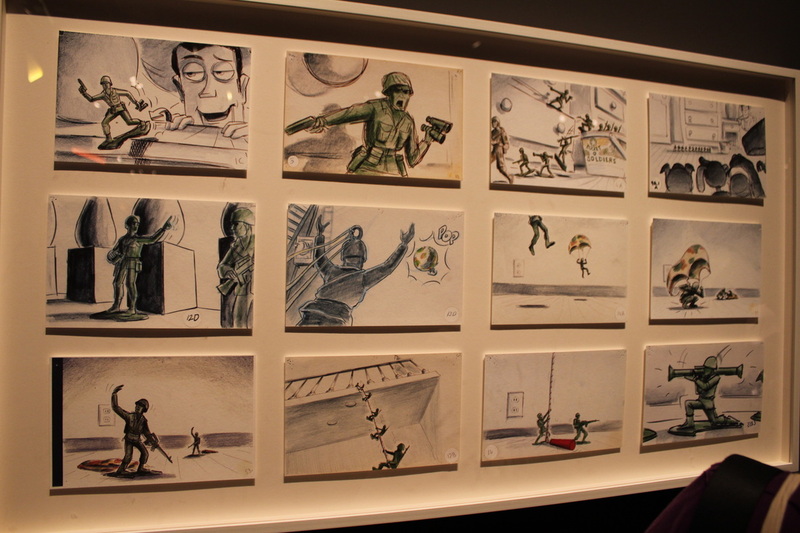 Concept Artist Albert Hurter oversaw every part of the film’s design from backgrounds to individual characters. Disney’s team drew inspiration from German expressionist films as well as mainstream cinema. The Queen’s transformation scene is one example of where the Disney studios borrowed from the likes of “The Cabinet of Dr. Caligari” as well as 1931’s “Dr. Jekyll and Mr. Hyde.” Disney Studios developed the multiplane camera in order to create realistic depth and movement of backgrounds; it was first tested on the short “The Old Mill“ and used for Snow White and other classics. 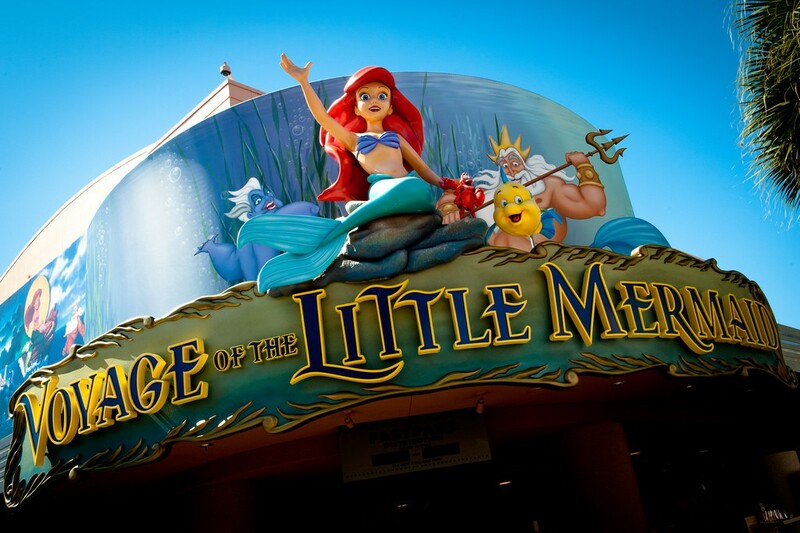 “The Little Mermaid” was the last Disney film to use a multiplane camera. Disney/Pixar’s Toy Story was hailed by critics and audiences alike. 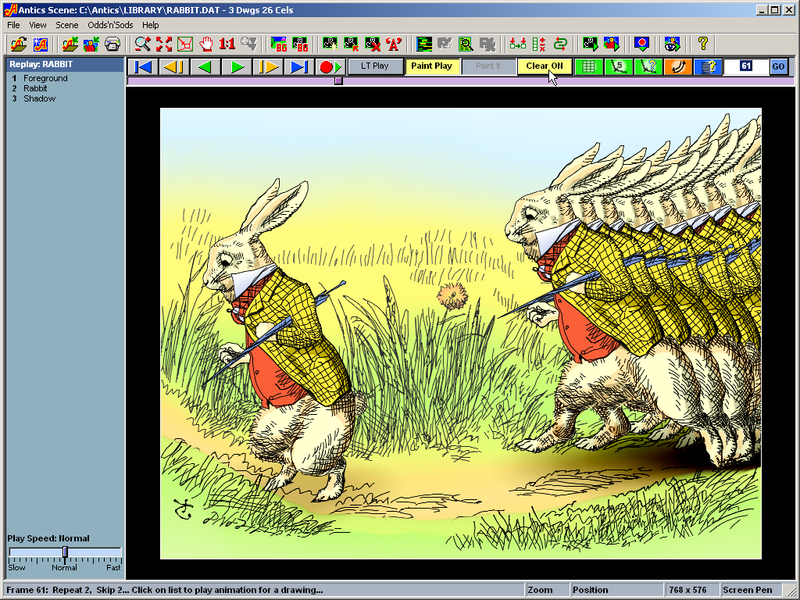 The film was the first feature film to be fully animated with computers. As Julia Zorthian discusses in her look back at Toy Story twenty years after its release, one of the keys to its success was excellent storytelling that has helped give the film longevity long after CGI has become an industry standard. Creating a believable world of magic and Muggles has been a task for the director and production teams on each film in the series and they have used every trick from old fashioned optical illusions and model sets to CGI and green screens to pull it off. Director Martin Scorsese wanted the opening shot of Hugo to be a seamless long shot from outside the railway station through the clockworks and into Hugo’s hidden home. To bring Brian Selznick’s book to life, Visual Effects Supervisor Rob Legato and Pixomondo Ben Grossman devised many tricks and transitions to create the signature opening and other scenes that pay homage to Méliès and other filmmakers of the earliest days of cinema. Using a live actor with computer animation and motion capture had not been done on this scale, but director Jon Favreau and visual effects supervisor Rob Legato worked with hundreds of designers to create the seamless animated backgrounds and animal characters. And they did all the previz using VR headsets. The end result is also a testament to Neel Sethi’s talent as an actor, since he had to deliver an emotionally true performance while responding to puppets and stand-ins. Want to know more about animation and special effects? Check out NYFA’s articles CGI Animation History: Defining (and Awesome) moments in Cinema or How To Do Stop Motion Animation. In The New Yorker you’ll find fiction, poetry, reportage — you name it. But if there’s one thing we can’t imagine disappearing from one of the most popular and successful American magazines of all time, it’s the cartoons. 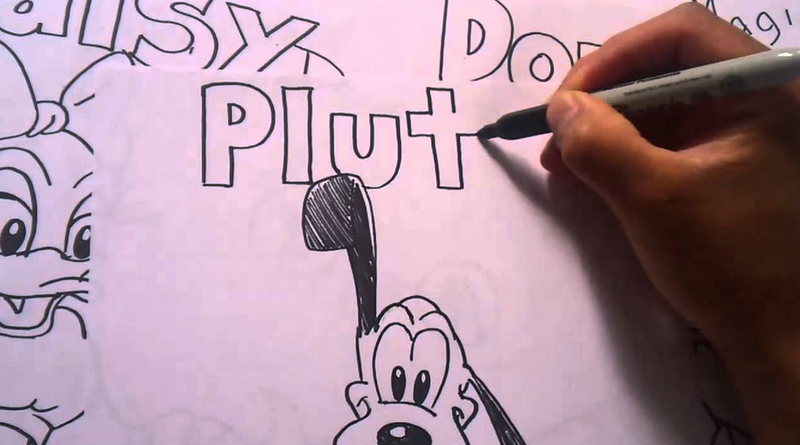 Below are a few things every up-and-coming animator, designer, and visual artist can learn from the cartoons that have been making people laugh and think since 1925. Of course, learning which style brings out the best of your skills and creativity is only part of becoming a professional visual artist. You also need to find a way to set yourself apart from the rest so that people see something fresh and satisfying in your work. This is by far one of the toughest things to accomplish, and many animators take several years and hundreds of drawings to do so. 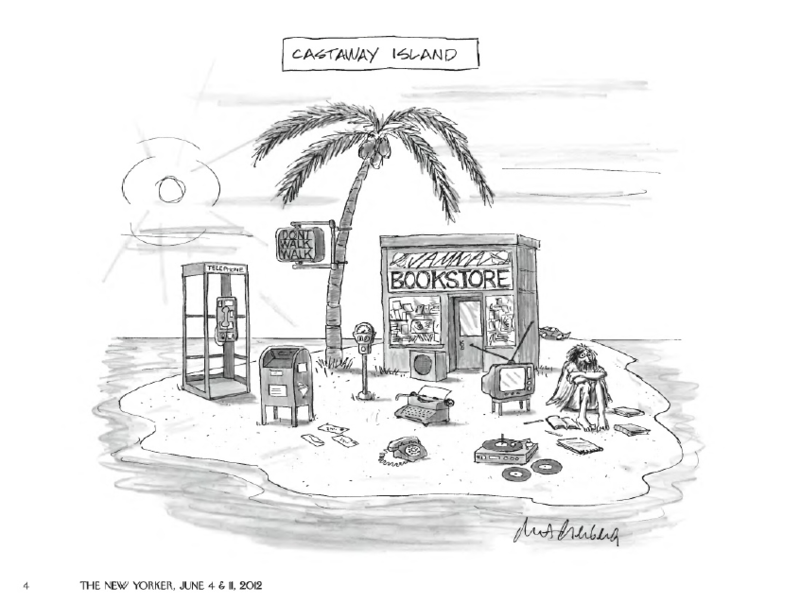 Three New Yorker cartoonists who developed iconic voices are Roz Chast, Michael Maslin and Peter Arno. Despite providing countless popular cartoons for the famed magazine, one can tell the subtle yet particular differences between their cartoons. Finding your voice means allowing your own personality to reveal itself and unfold through your work, whether you are animating a film or creating graphics for a client. One of the biggest reasons New Yorker cartoons have remained popular for nearly a century is because they’re made for you and me. In other words, the artists hoping to get their cartoon published make sure their work relates to cultural trends and what’s going on today. They speak to the times, as well as the culture. The lesson to learn here is that every aspiring animator should have an understanding of what companies and clients are looking for. 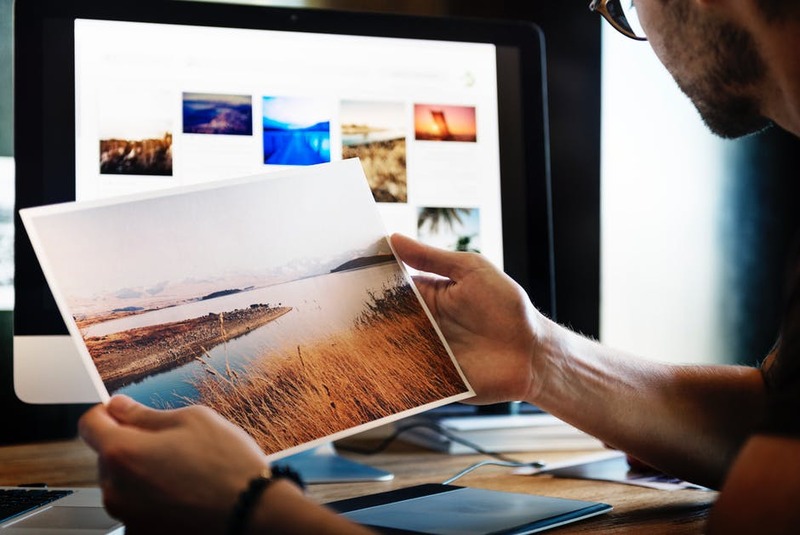 If your portfolio is brimming with work that’s contemporary and speaks to the technology and trends of the moment, you’ll better demonstrate your ability to speak to a specific audience. It’s no secret that getting your work accepted by the New Yorker is an accomplishment worthy of celebration. They receive thousands of cartoons each year from hundreds of artists looking to make a name for themselves, and yet, only a few will be published. And even cartoonists who do secure coveted space for their work in the prestigious magazine will likely tell you that their success was hard-won, and built upon a pile of rejection letters. The moral of the story: the visual arts are competitive, and you will need determination, patience, and openness to criticism as well as talent in order to succeed. Even the most focused, adaptable, and talented illustrator will sooner or later face rejection. The key is to have persistence and thick skin, which means never allowing a failure to keep you from moving forward and plugging away to secure and create great work. Whether you’re looking to work in comic books, fashion, design, visual effects, or film, the best thing any artist can do is equip themselves with different tools. Part of becoming a diverse, flexible animator is learning to try other techniques and approaches, even if it’s new territory. The worst that could happen is that you discover your strengths and weaknesses, which is valuable information to help you focus on strengthening your professional skills. This is why you’ll find all sorts of styles while skimming through the best New Yorker cartoons. Bob Mankoff, one of the most famous cartoonists in America, had over 500 cartoons rejected before he found success with “Surely You Jest,” which was made with a pointillist style consisting of dots to create the images. Although this cartoon served as his first step toward making cartoons for a living, he didn’t stick to this style alone and went on to make countless others via different techniques. What inspirations have you drawn from The New Yorker cartoons? Let us know in the comments below! The Disney Renaissance changed the way the world experiences animation. Of all the companies that need no introduction, Disney is perhaps at the top. Boasting one of the world’s greatest libraries of highly marketable intellectual property, Disney will no doubt continue as a household name for years to come. What can aspiring animators learn from this company’s continuing success? It’s easy now to look back and see how successful Disney was during this period. But before the studio began their creative resurgence, they found themselves in a tough spot. Disney struggled for a while; some of their films (like “The Black Cauldron”) failed while new rivals emerged. One of these rivals was Don Bluth Productions, which was founded by an ex-Disney animator who left with 17% of the animators working on “The Fox and the Hound” at the time. Don Bluth’s team began producing successful films like “An American Tail,” “The Land Before Time,” and “All Dogs Go to Heaven.” This put pressure on Disney to compete at the box office. Many believe the intense competitiveness with Don Bluth Productions is one of the reasons Disney pushed hard to create memorable classics. Though Don Bluth Productions closed its doors in 1995, Disney clearly benefitted from the competition thanks to the work of individual animators who clearly wanted to prove they were the best in the industry. Of course, those animators we just mentioned wanted more than to simply “beat” the competition. They also strove to surpass their previous work, which is why so many films released during the Disney Renaissance period seemed to have just as much creativity and passion, if not more, than the last. Imagine releasing “The Little Mermaid,” which earned a whopping $84 million during its initial release, and then being told to do it again — only better. The Walt Disney Animation Studios team did just that, releasing “Beauty and the Beast” two years later, only to follow that up with with “Aladdin.” The next six films of this era, which include “The Lion King” and “Mulan,” were also great box office hits. The lesson? No matter how well you do, try to do better next time. No matter what field or industry, success can sometimes be a studio’s downfall. Pressure to repeat the same success can be devastating, but it can also push animators to new heights. As an aspiring animator, follow in the footsteps of the animators of the Disney Renaissance era and work to always do better than before, whether your last work was a success or failure. Disney himself began as someone who enjoyed drawing in his spare time. When he decided he wanted to do what he loved for a living, he had to go through many random jobs — including working as ambulance driver for the army during World War I — just to fund his passion. With a desire to draw for a living as his focus, Disney pushed ahead until he had his own animation studio. His love for animation fed his perseverance. We’re confident that the animators during the Disney Renaissance era felt the same way. Despite growing pressure to release success after success, they simply went on doing what they loved and didn’t hold back. 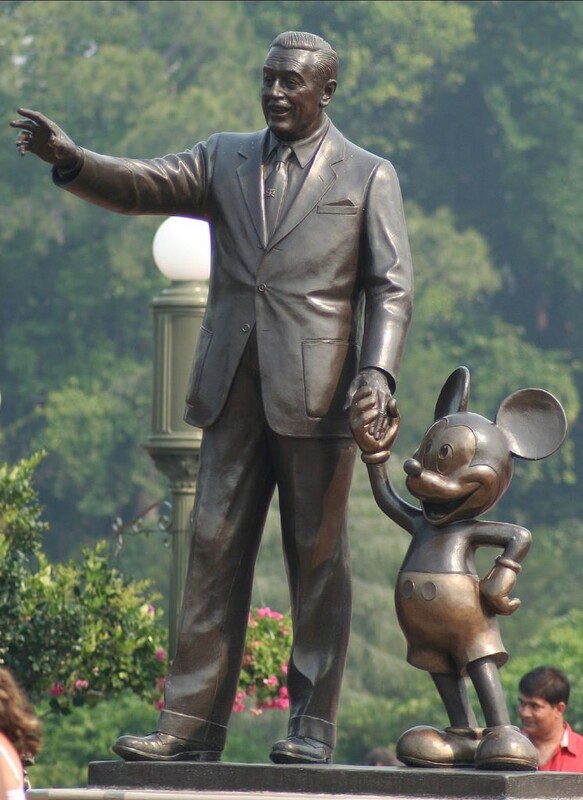 Now, Disney is one of the largest and most successful companies in the world. Coincidence? What great lessons have you learned from the Disney Renaissance? Let us know in the comments below! If there’s one profession that has continually grown in demand each year, it’s animation. More and more aspiring animators dream of creating worlds as captivating as the ones they grew up with. Now, schools all over the globe offer all kinds of degree programs in digital art, 3D animation, visual effects, and more. Of course, it takes more than just passion and imagination to get the dream job of creating jaw-dropping video game environments or lovable film characters. That is why New York Film Academy designed their 3D Animation & Visual Effects School to equip graduates with the skills and knowledge needed to stand out in a competitive job market. But the question on the mind of many future animators is the same: can I make a good living as an animator? The answer is, yes! In fact, the need for talented animators has led to a growth in annual salaries over the past several years … and there’s no sign of it stopping. Animators today are getting paid more than those from 20, 10, and even five years ago. This is because advancements in animation and visual effects technology have allowed for better tools offering more realistic graphics. All it takes is one look at a video game from the year 2000 and one from 2016 to see that animation is bigger and better than ever. At the same time, costs for animation projects have also gone up. For example, “Toy Story” was released in 1995, made on a budget of $30 million with 27 animators. It is still the cheapest movie Pixar has ever produced. In comparison, “Toy Story 3” was released 15 years later on a budget of $200 million— more than six times that of the first movie. So why are animated films and 3D video games more expensive to make today than ever before? Simply, more animators are required for projects — and those animators are getting paid more. As visuals grow more complex, so too do the tools needed to make it all come alive. Companies want to hire individuals who have mastered the necessary skills and can work quickly without sacrificing quality. And they’re willing to pay good money. As of May 2015, the Bureau of Labor Statistics has “Multimedia Artists and Animators” earning an estimated median annual wage of $63, 970 and an hourly wage of $30.76/hour. Median means that half of professionals in this field earned less than those numbers while the other half earned more. Not including self-employed workers, these averages were taken from the salary of 30,250 animators and multimedia artists. 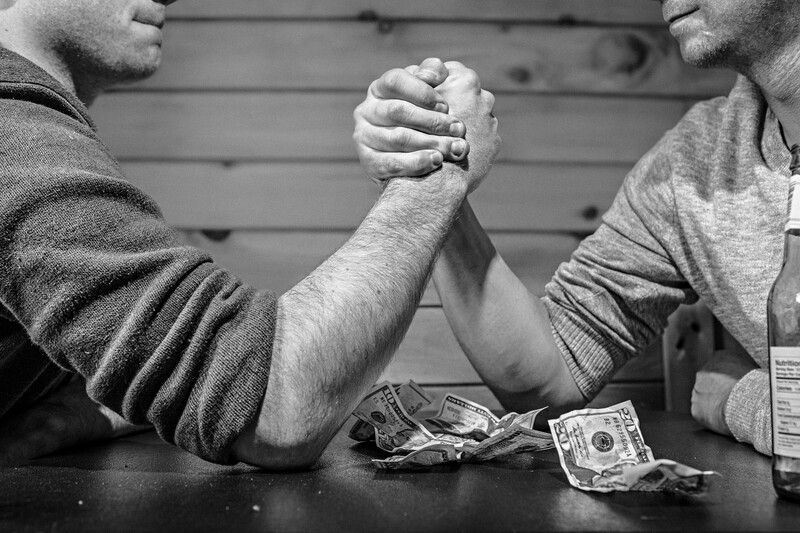 It’s important to remember that the industry you work in affects how much you can make. The top paying industry for animators is Travel Arrangement and Reservation Services, with an average hourly wage of $41.22 and annual wage of $85,750. However, there were only 30 reported people working in this field. So even though the average annual wage of someone working in motion picture and video is less ($73,270), it has a higher level of employment. The motion picture and video industry employed 9,930 artists and animators in May of 2015, the most of any industry. 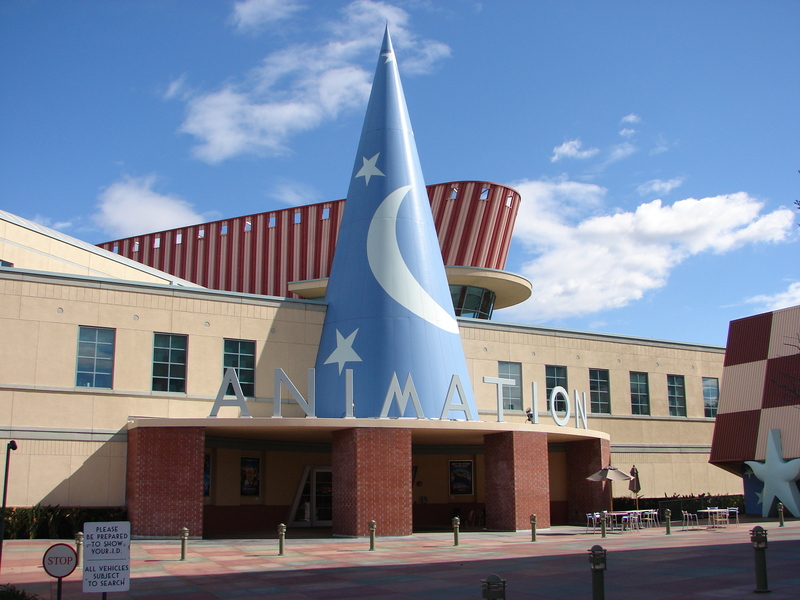 When comparing numbers from 2014 and 2015, people estimate that animation jobs will grow up to 7 percent, which means more than 4,000 more positions. To someone who is passionate about animation, gaining paid work in the field can be something of a dream come true. The only downside is getting your foot through the door in the first place, especially given that the industry – much like any creative profession – is saturated with competition. But don’t despair. Those armed with information are better prepared for success, and you’ll find plenty of it below as we delve into the various sub-professions within, and related to, animation. We’ve also listed the typical career paths people usually follow to break into them (for instance, is animation school a prerequisite?) as well as the average salary one can expect and difficulty of attaining regular paid work (not the difficulty of the job itself). All figures correct at time of writing, but should be taken as estimates only. Salary can vary wildly depending on location and experience level. While many industries – from publishing to marketing – employ art directors for any project or campaign that requires heavy visual elements, the role is even more prominent in animation. An art director holds a very high position on an animation team, and most creative staff involved on a project report directly to him or her. Not only do art directors have the final say on what footage or stills are to be included in the final cut (as well as helping to coordinate and shape the entire project), but may also be required to train junior staff and manage budgeting requirements. Art Director Career Path: Typically working up from more junior roles, with qualifications from an animation school helping accelerate the process. Pros: Being in charge of calling the shots is often the biggest pull for art directors. Cons: Nobody knows pressure like an animation art director, particularly one who also has to manage budgetary issues. Art Director Salary: Averaging $70,000 to $80,000, but wholly depends on the scale of the project. Stop motion animation is a very laborious discipline which takes an incredible amount of skill, attention to detail and, above all, patience. 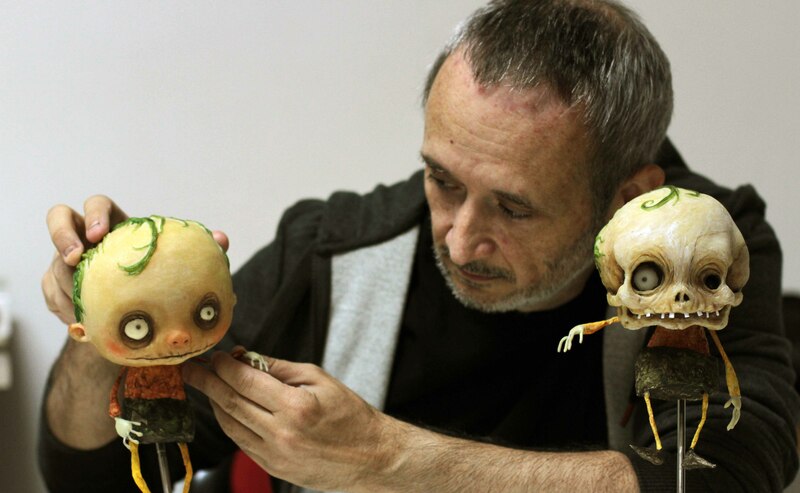 What sets stop motion animators aside from traditional 2D or 3D animators is that they must also set up physical rigs, usually to specification, in which to work with the models and camera equipment before using specialist software to bring it all to life in the editing suite. 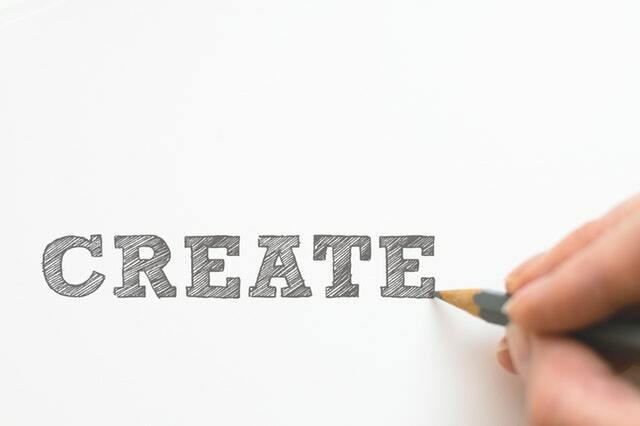 Stop Motion Animator Career Path: More often than not, stop motion animators are self-taught and break into the industry gradually having honed their skills through freelance work. Stop Motion Animator Salary: Most stop motion animators earn a fairly steady $60,000, with no great difference being seen depending on experience or location. This is similar to how much somome earns while playing blackjack for a living. Working with a number and combination of industry-grade animation tools – Maya, 3DS Max and Blender to name a few – a 3D modeler works from the ground up to bring fully rendered models and environments to life. While this may sound like a fairly niche job, a skilled 3D modeler can find work not just in film and video games but also in engineering, advertising, manufacturing, architecture and many other fields. 3D Modeler Career Path: Given the steep learning curve, many modelers get their leg up onto the career ladder via 3D animation school. Internships usually follow, or the modeler can sometimes get straight into paid work if they’re based in an entertainment hotspot. Pros: A fair amount of creative control, as well as no two days ever being the same (for the most part). Cons: The competition for paid work is pretty stiff. 3D Modeler Salary: Very hard to calculate averages given that most 3D modeling work is offered on a freelance basis. A contracted modeler for a major studio like Disney or Pixar can expect as much as $100,000, but it can be less than half that for a smaller company. Predominantly working with the Adobe suite of animation tools, Flash animators combine skills in illustration, graphic design and composition in order to create compelling 2D and 3D animation in Adobe Flash. Given the prevalence of the format in modern usage, Flash specialists are employed in just about every area in which animation is required but particularly in web applications and advertising. Flash Animator Career Path: A standard career path for those specializing in Flash is to self-teach before seeking out freelance work. Pros: As long as Flash is as popular as it currently is, work is plentiful for a skilled Flash animator. Cons: If you work in web advertising, client demands can get almost comically outrageous at times. A lot of work is being outsourced overseas, too, leading to greater competition at lesser rates than previous years. Flash Animator Salary: As above – quite difficult to calculate given most Flash animators are self-employed. The median average lies around the $60k mark, but this is a very rough ballpark figure. Compositing artists hold a great degree of responsibility over the final appearance of an animation, working closely with the other animation staff (particularly SFX specialists, lighting and texture directors) in order to add a layer of polish and keep the entire project looking consistent. If you’ve ever been impressed by the stylistic quality of an animation, that’ll probably be the work of one or more compositing artists. Compositing Artist Career Path: There are numerous routes to becoming a full-time compositing artist, and while many studios hire professionals who have undertaken specialist study in this area, it’s usually a case of working up from a junior animator or SFX level. Pros: An opportunity to use your artistic flare to the fullest and leave your own creative stamp which is immediately apparent in the final animation. Cons: It’s an under-appreciated artform, and you’ll be forced to satisfy the demands of numerous departments. Compositing Artist Salary: Between $50,000 to $75,000 per year depending on location and experience. While not strictly a branch of animation, storyboard artists usually work hand-in-hand with animation and/or filmmaking teams to help map out a story from start to finish long before work starts. 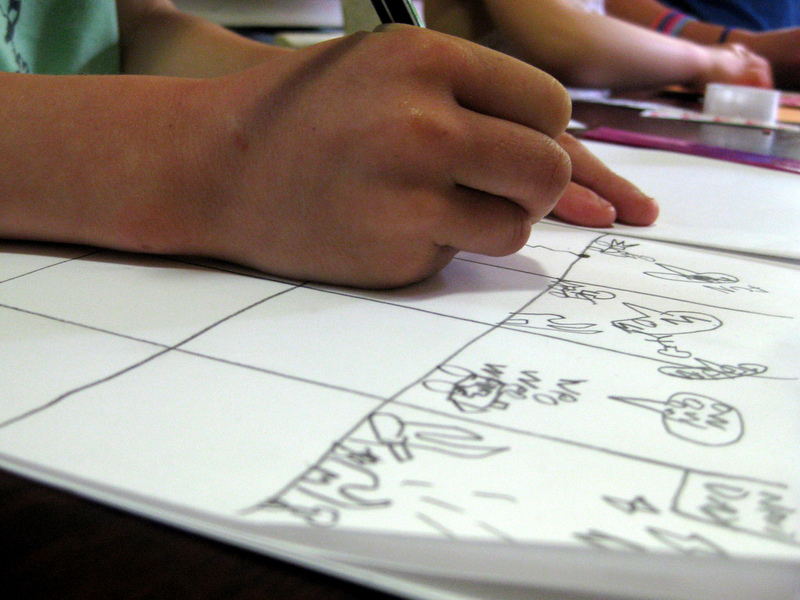 Taking input from writers and directors, it’s the storyboard artist’s job to produce conceptual artwork from stills from which the production team can work – given that a skilled artist can save everyone else an exceptional amount of time (and, ergo, money), they’re highly sought after on film shoots, traditional animation, music videos and commercials. Storyboard Artist Career Path: Like many professions in the creative industry, it’s all about having a solid portfolio and leveraging connections. This can take years of working on smaller projects for very little (or no) money, but studying the craft at illustration school can help you get there quicker. Pros: Getting to be pretty much the first person to start the transformation process from written script to polished animation. Cons: Being sandwiched between a director making demands and an animation team trying to make sense of the whole project. Storyboard Artist Salary: In LA, the salary for a contracted storyboard artist can be as high as $80,000 to $100,000 but once again this can be half as much in other locations (and depending on the sector in which the artist is employed). Arguably the most specialized branch of animation in the industry (and with a commensurate pay scale to go with it.) 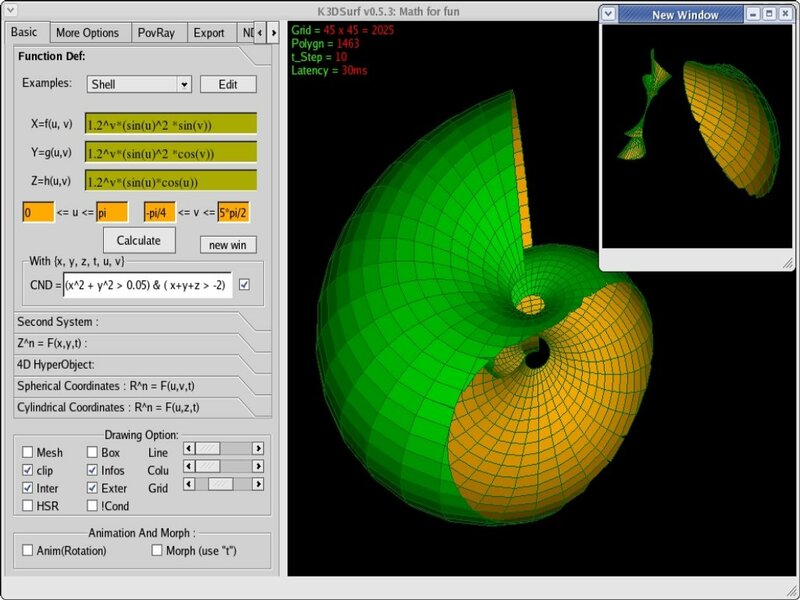 As the name suggests, a mathematical modeler uses complex formulae in order to generate equally complex models for use within animation; typically this skillset is mainly used in precise engineering such as aeronautics, but the increasing advancements in video gaming have seen a call for such specialists in recent years. Mathematical Modeler Career Path: Intensive. A degree in math, engineering or similar is virtually essential, and coupling it with a program specific to 3D animation and modeling doesn’t hurt either. Pros: Let’s not mince words – the main attraction here is the money. Cons: Have fun digging through 20,000 lines of code to find the one mistake causing the model to act that way. Mathematical Modeler Salary: Expect no less than $80,000. Declaring that you’re an animator will usually fire up interest and conversation at a party, but being a forensic animator is guaranteed to turn heads. 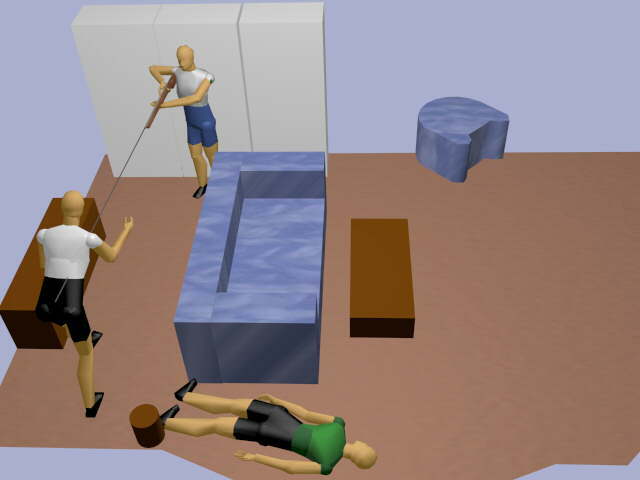 Pretty much exactly as it sounds, a forensic animator will utilize his or her unique skills to help investigators piece together crime scenes and collate evidence for presentation to a jury. Forensic animators are also used often in insurance and/or liability claims, requiring strong experience in both 3D and 2D animation as well as terragen software in order to recreate real life locations and scenarios. Forensic Animator Career Path: An already established animator can transfer over to forensic animation via specialist courses, but be warned: your flashy portfolio of superb SFX won’t do you any good since the field calls for technical attention to detail over dramatic embellishments. A criminal record will kill this career dead in the water, too. Pros: As you can expect, playing an instrumental part in solving crimes is its own reward. Cons: It’s not quite as ‘CSI’ as most people think, and it can take a strong mind (and stomach) to deal with some of the work you’ll undertake. Forensic Animator Salary: Nearly always freelance based, a forensic animator can charge anywhere between $20 to $100 per hour, depending on experience. When an animation is complete, somebody needs to make sure it is rendered down into a format fit for public consumption. That’s where a render wrangler comes in. Modern animations typically comprise of many terrabytes of data per minute; this necessitates entire banks of computers to provide both the RAM and storage required to handle the rendering, and it’s entrusted to the render wranger (sometimes referred to as a data wrangler) to come up with workable solutions to facilitate this. Render Wrangler Career Path: Computer science skills a must; animation knowledge secondary. 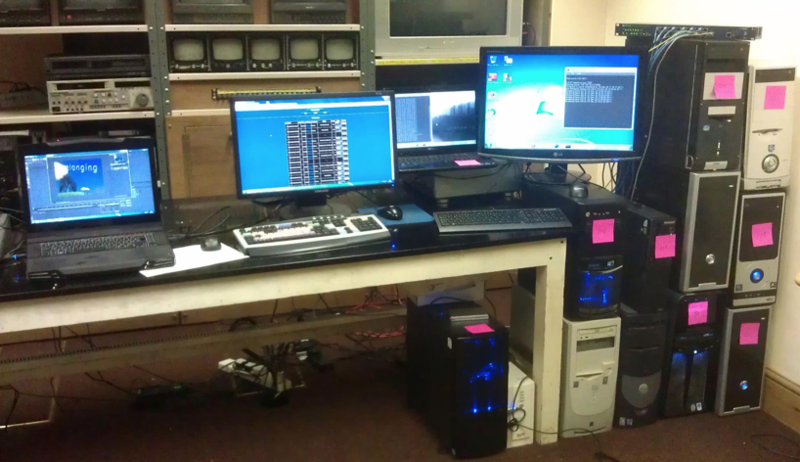 Pros: If you dream in zeroes and ones, this job is the epitome of high-powered computer geekery. Cons: Trying to explain to non-technical staff the limits of what’s achievable. The pay is also fairly dire. Render Wrangler Salary: Surprisingly low given the technical expertise required – typically only around $15 per hour. Texture is an often overlooked aspect of animation, but it’s also one of the most crucial. As one can imagine from the title, a texture artist concerns him or herself with the finish of any models (and sometimes terrain) to be featured in the animation. 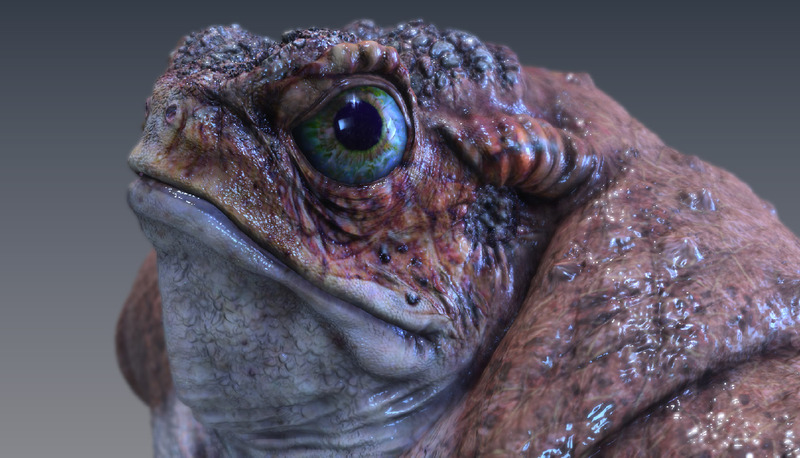 Often the main goal is to achieve a realistic look, but texture artists may also have to use all their graphic skills to create effects not usually found in nature. Texture Artist Career Path: Texture artists typically come from a graphic design school background, becoming proficient in texture creation first and foremost before transferring those skills to the animation sphere. Pros: As well as always having to push your own boundaries to get results, if you enjoy using artistic skills to solve logical problems, this is the job for you. Cons: Sometimes spending many hours just to get one particular texture on one character right, which may only get half a second of screen time. Texture Artist Salary: $60,000 is a fairly standard mean average, ranging up to around $80,000 in some location hotspots. Ready to learn more about future possibilities in the world of 3D animation and visual effects? Check out NYFA’s Animation School for program offerings, and apply today! See Also: Filmmaking, photography and broadcast journalism guides for jobs and salaries in other fields. Q: Do I need to do Storyboards for my animation? TF: While storyboards are not an absolute requirement to tell good stories, they provide an essential blueprint of how a story will be told. Famous directors such as Hitchcock, Scorsese, and Lucas have employed storyboards to great effect with their films. And it’s even more important with animation and VFX as the time and technical acumen required are even greater than for film. 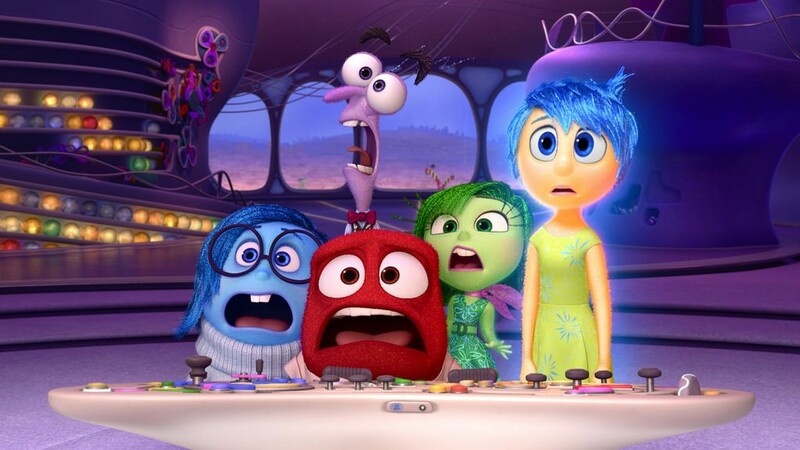 A company such as Pixar will devote many months to developing storyboards and animatics, so as to optimize shots and scenes and assure a great resulting movie. NYFA understands the benefit of creating boardwork and sees value in bringing that skill set to their students. Q: Do I need to know how to draw to do storyboarding? TF: In today’s world knowing how to draw is obviously a plus, but not a requirement to produce adequate storyboarding. In fact, crude stick figures are more than adequate for storytelling. Taking this concept even further, cellphones can easily be utilized to compose shots for shot continuity. Q: What does Storyboarding bring to an animated movie? TF: Having storyboards allows a director to more efficiently communicate his or her vision to those involved in the animation pipeline. It also allows the Producer to have a visual map that fosters good morale and a clear path towards the completion of a production. Q: Will every project I do require a Storyboard? TF: Every project in the animation industry will require at least a script and shot sheet. As a result, in the NYFA academic environment, storyboarding is emphasized to each student so they can gain the experience. Q: Do I need to know Photoshop and have a computer for Storyboarding? TF: Digital technology has enhanced every aspect of animation — filmmaking and storyboarding are no different. However, simple pen, pencil, and notepad still work. Q. What will I learn in the Animation BFA program? A. The full program will take you through drawing classes, sculpting classes, an introduction to 2D software like Photoshop, After Effects and Nuke and 3D software like Maya and ZBrush. You will also use editing software like Premier. After the software introductions, you will learn to build animation 3D environments and design characters. You will texture and light environments and compare real world lighting to computer-generated (CG) lighting. 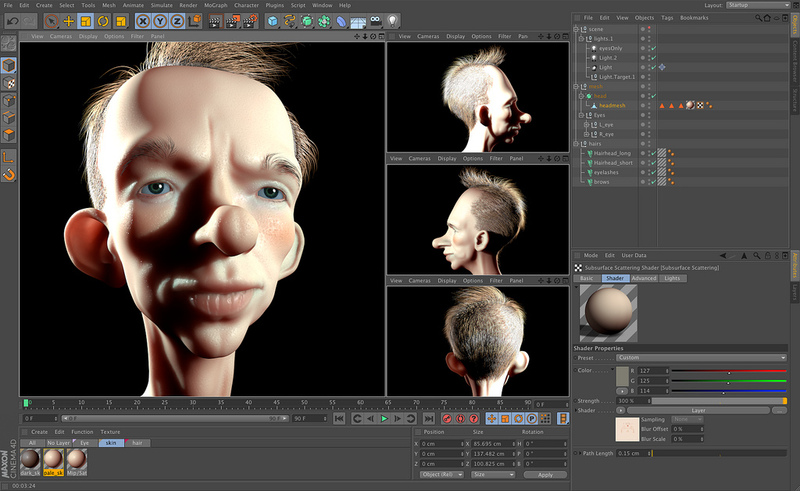 You will learn to rig and animate your characters and create short movies. Meanwhile, all of your work will contribute to your portfolio and demo reel so that you will have material to show prospective employers. Q. Do I have to draw well to get work in animation? A. It depends on what area of animation you are interested in. If you like character design or environmental design, it would help be able to draw well. Knowledge of anatomy is very desirable for character design. An understanding of perspective and how to use it is important in figure drawing and environmental sketches. 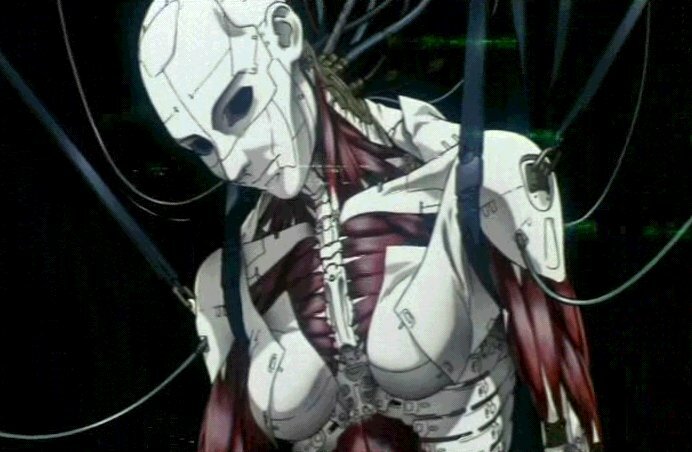 But if you have an aptitude for software and are technically minded, you could focus on model building (objects or characters) or rigging the skeletons of the characters. You could also create visuals like particle effects used for sand (The Mummy) or fireworks. There are also effects needed for hair and cloth dynamics. 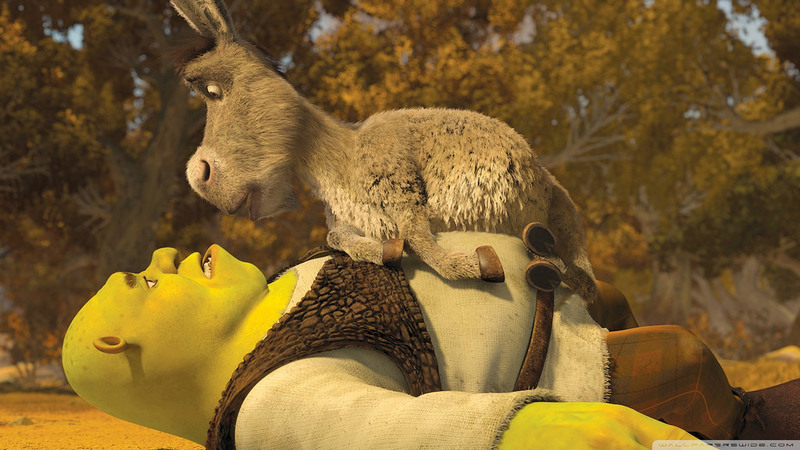 There is more to animation than feature movies, like Toy Story. Animation software is also used for pre-production planning and visual effects in movies, like Gravity and World War Z.
Q. What if I’m not sure I want to commit to the full BFA program? Is there a way to take short courses to see what I like the most? A. In Los Angeles, we offer a 4-week crash course that teaches you how to create a short animated movie. There is also a 1-year program that is very intensive. You should come away with portfolio additions and demo reel material. Q. 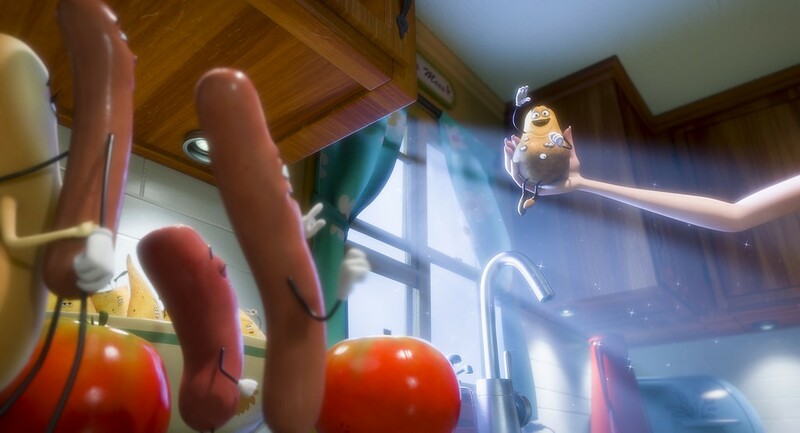 How many different job roles are there in 3D animation? Q. How many different job roles are there in movie effects? Q. How do I get the most out of the Animation BFA program? A. Give your all to each class, even if you think you are not interested in that software or discipline. You never know which skill set might be your entry into your industry of choice. For example, some students might get their start by creating motion graphics for rock videos, commercials or educational videos. Some people get their start in movies doing green screen composites for effects studios that are sub-contractors to movie studios producing high profile, big budget films. Some people get started creating cinematic effects for mobile devices. Keep an open mind and do your best work because, at the very least, you will be adding great looking images to your portfolio.